This week in St. James the water dept will be flushing water mains all week long. Monday is Liver and Onions from 5-7 p.m. at the Eagles and Pulled Pork Supper 5-7 p.m. at the American Legion. 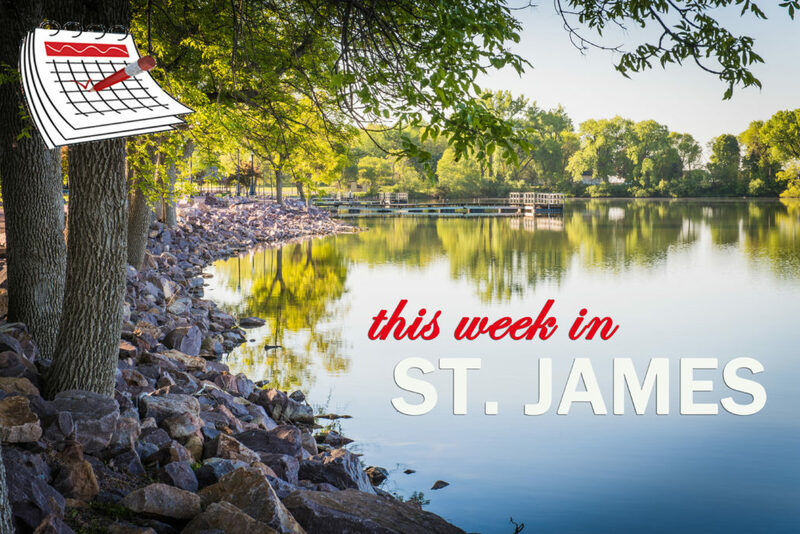 Wednesday is Household Hazardous Waste Collection at the fair grounds from 3-6 p.m. Thursday is Knitting with Tessa at St. James Library 5 p.m., Hamburger Night at VFW from 5-7:30 p.m. Friday is the Nordic Bazaar at First Lutheran Church 10 a.m. – 1:30 p.m., St. James Parish Rummage Sale from 2-6 p.m. and Saturday from 9 – 11 a.m. Check out the Community Calendar for details on these and other upcoming events!